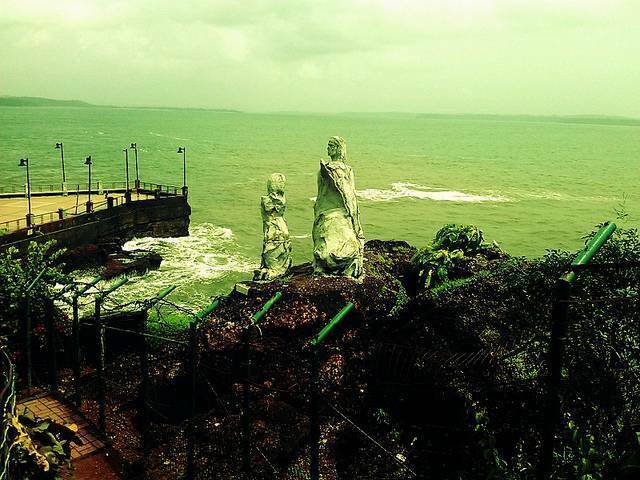 Dona Paula beach is in North Goa, about 7 kms from Panaji and is named after the daughter of a viceroy in colonial India. Legend has it that she jumped off the cliff here when she was not allowed to marry the son of a local fisherman. Another legend says Dona Paula helped a villagers a lot during her lifetime, so after her death, viallge was renamed Dona Paula. The Dona Paula beach is popular with tourists and offers plenty of opportunities for watersports and sunbathing. Nearby attractions are the Salim Ali Bird Sanctuary and Reis Magos Church, one of the oldest churches of Goa. Miramar and Vainguim beaches are located close to Dona Paula beach.